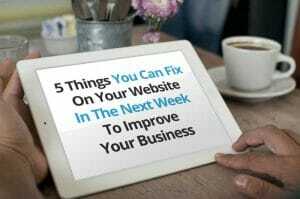 We will ask the right questions about why you need a new website (or a changed one) and exactly what it is you’re trying to achieve. Some of these questions may feel awkward. If it doesn’t feel awkward, we are not doing our job. It’s all for the good, eventually. With all the information we have, we build a map – a sitemap – so we can all get on the same page very quickly. A sitemap structures the information we want to communicate – at a very broad level. Instead of talking in jargon of what we’re trying to build, at this point we will show you an interactive prototype in the browser. So that you can see how the solution works. With no attention to design at this stage, it’s not pretty or impressive. It shows intent and functionality. This is the fun stage of the process because we get to play with the crayons. We bring the interactive prototype to life to match your brand identity. The site is pretty much fully functional and the real thing. There’s a bit more to be done though. We go underground for a couple of weeks and make sure all the geeky stuff at the back end works and is tested thoroughly. We then deploy your shiny new website on our hosting server so that the whole world and its brother can beat a path to it.